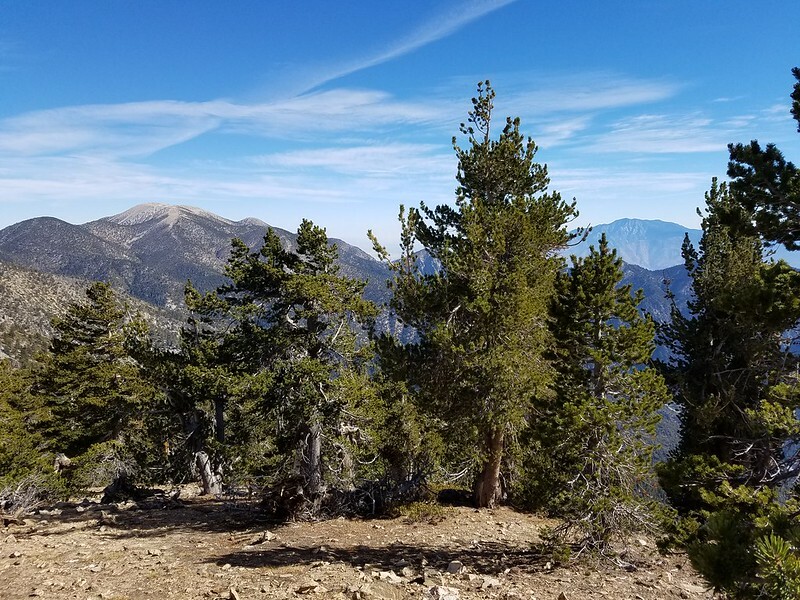 At 10,649 feet, San Bernardino Peak is the third highest peak in Southern California, after Mount San Gorgonio and Mount San Jacinto. 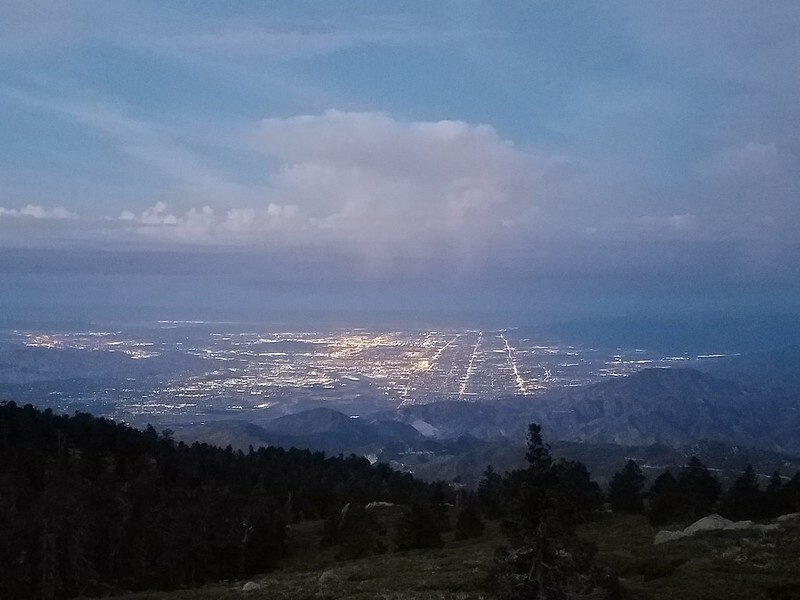 The peak offers spectacular views, including those of the San Bernardino Mountains, San Jacinto Mountains, San Gabriel Mountains, Santa Ana Mountains, and Inland Empire. 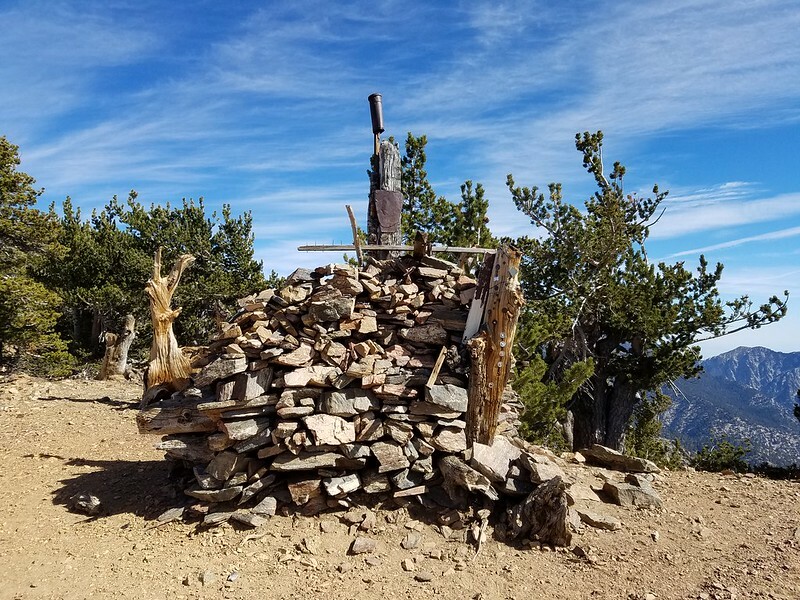 The trailhead of San Bernardino Peak Trail is located at Angelus Oaks. 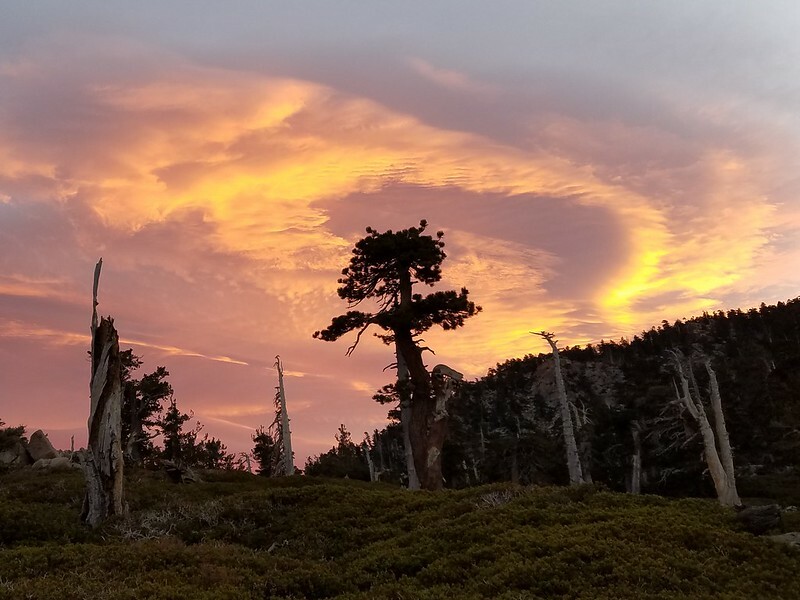 The trail leads up to Manzanita Flats for three miles, where it flattens out for a mile (camp at 8,200 feet). Then it continues heading up to Limber Pine Bench for two miles (camp at 9,300 feet). 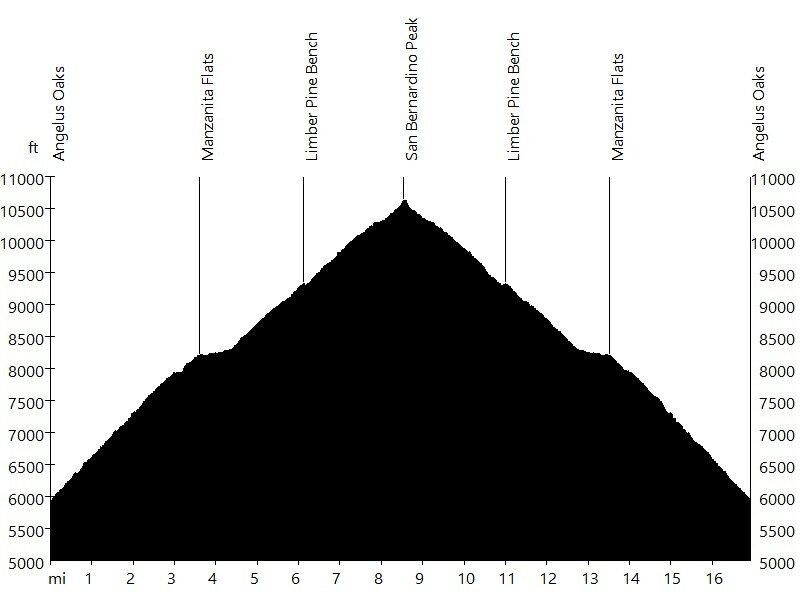 The final section leads up to the summit for two miles, passing Washington's Monument. A Wilderness Permit is required. 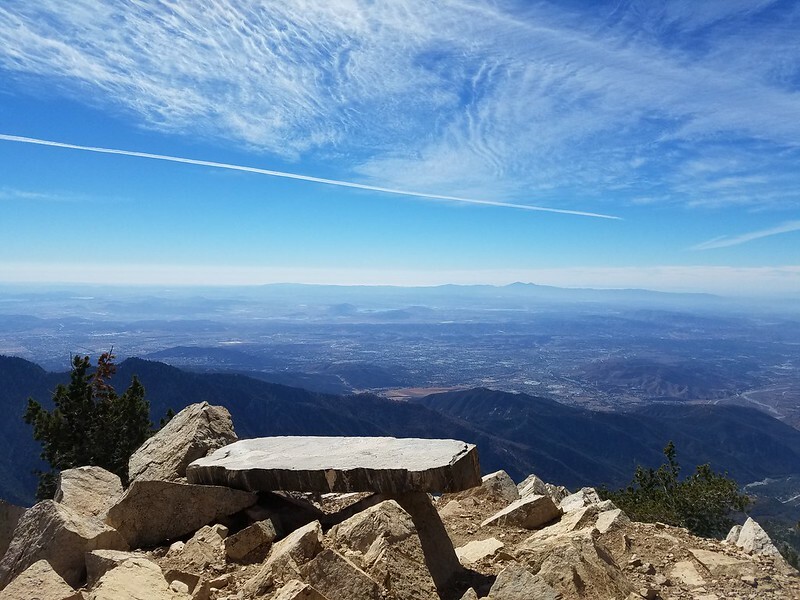 On a beautiful October weekend, I hiked San Bernardino Peak Trail and, after reaching the summit, camped at Limber Pine Bench. 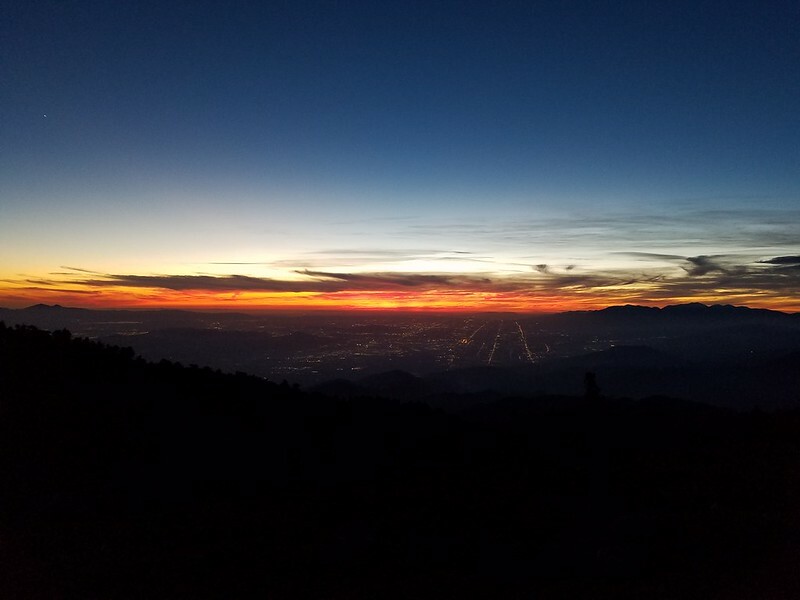 Highlights included the views, sunset, and sunrise. 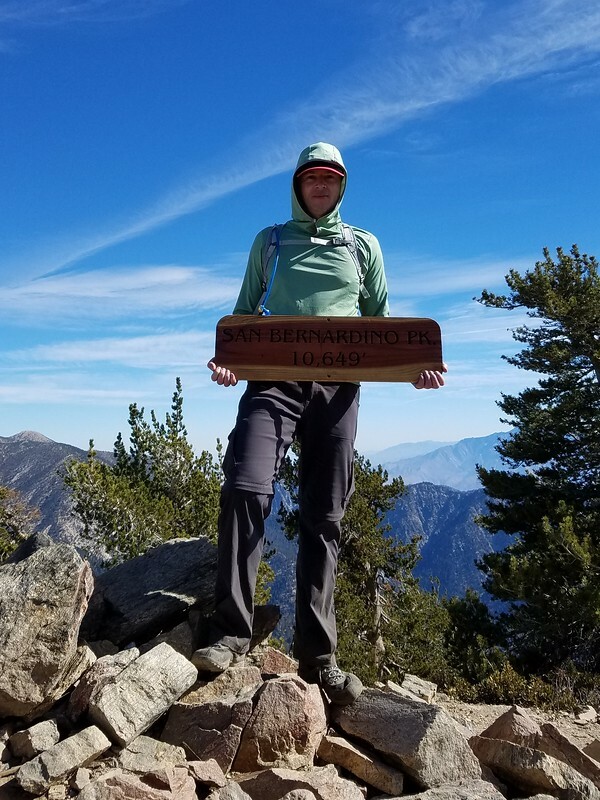 In July, Sandra and I hiked San Bernardino Peak Trail and, after reaching the summit, camped at Limber Pine Bench.